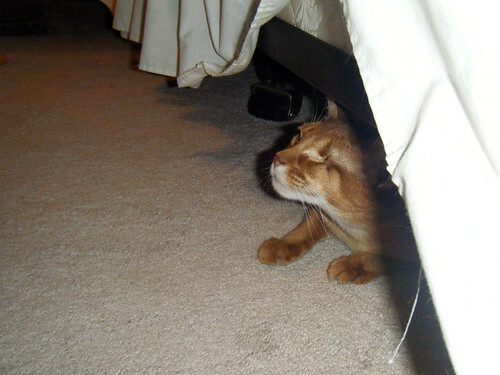 When I went to pick up Angel in Pleasanton, she played hard to get and hid under the bed for a while. 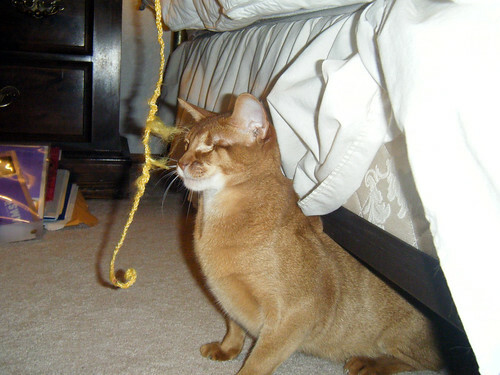 I had to coax her out with a wand toy. 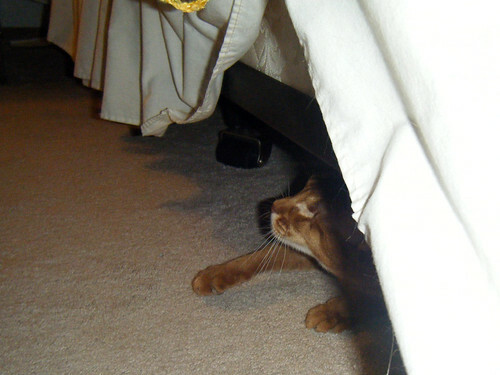 But I persevered and she started to thaw. 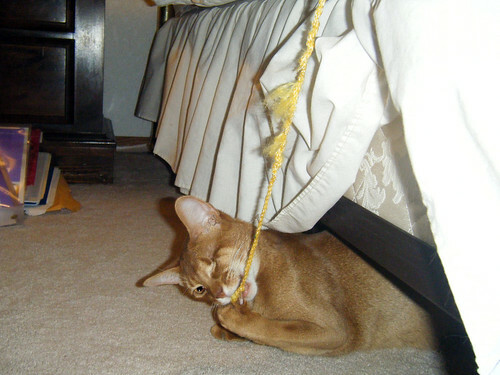 Behold the fearsome huntress and her prey, the yellow string.